When the days are cold and gray, graybeards such as myself tend to hang out at home in our castles with tea, throws, fireplaces and clean windows. I have been watching the Blue Jays (up to six came this morning!) fight over my sunflower and peanut seed mix. They are too big to comfortably hang on my bird feeders, so a platter of seeds is the best I can do. Some come in and stuff their craw with as much as they can. I think they then return to the trees and store it in crevices, rocks and even bury it in the soil. They have a good memory. When I ran out of Blue Jays I retreated to my computer and did some digital paintings. I like this last one as it seems almost like an American Indian painting. Blue Jays have their place in the lore of the American Indian. Can you see the face of the Indian in the body? Very pretty birds, not so pretty attitudes. I miss the bluejays, raucous as they are. 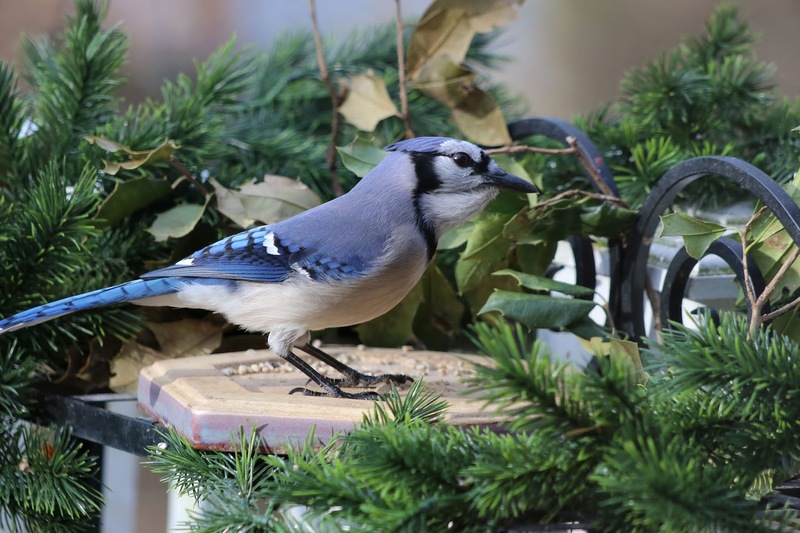 most of the birds have returned since the flood except the blue jays. haven't sen very many. and great 'sports' shots! Mr. Sammy Jay is loud and considered obnoxious by some. He is handsome, though. Thanks for posting my Valentine's tips to Facebook, i like the idea of getting the word out as widely as possible. Blue jays are probably competing for nesting territory at this time of year. They do put on a good show. I do see the face! We have blue/black Steller's Jays here, noisy but pretty. They are piggies at the feeder. 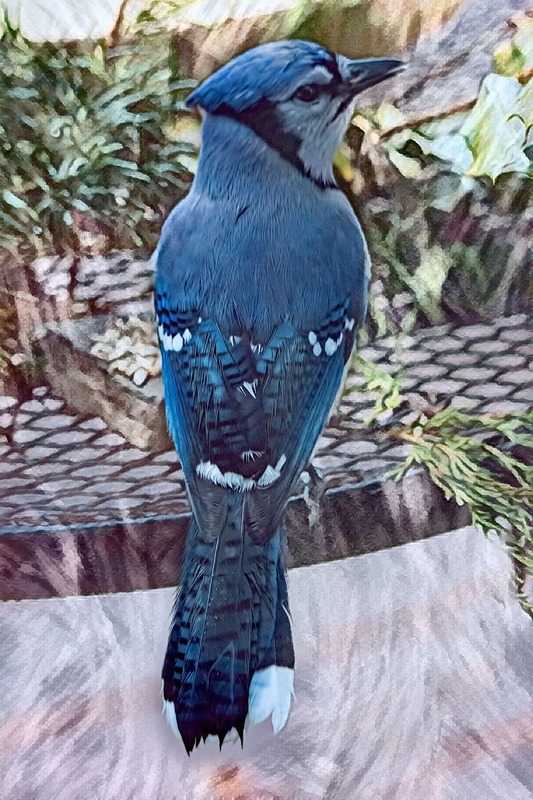 Absolutely stunning Blue Jay, the photos are best of the year. Bob, your praise is noteworthy. While you are having fun with the blue jays, I am finding Alex pictures. 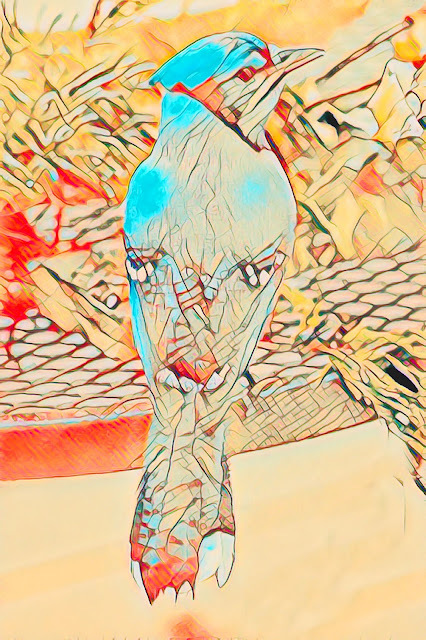 Love your birds. Fascinating photos. 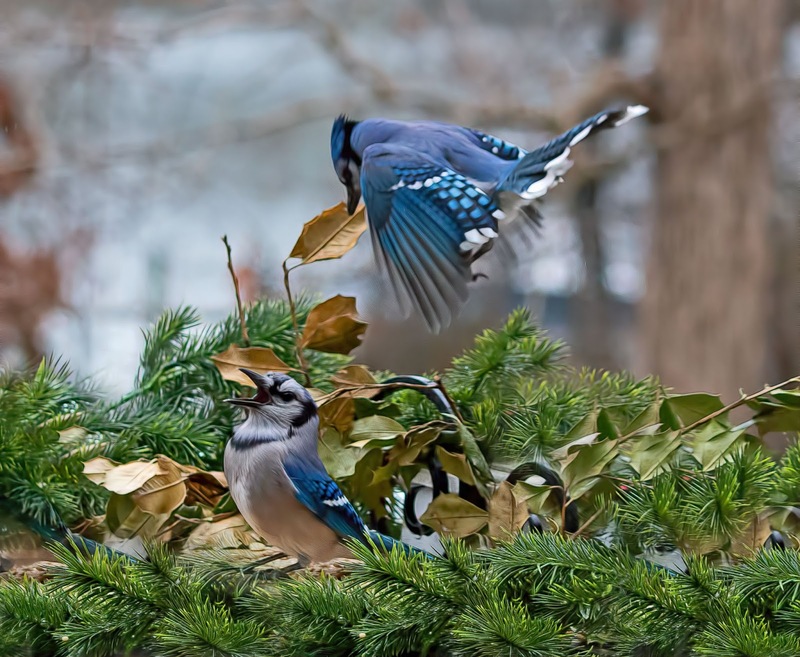 Jays argumentative nature distressing, detracting from their beauty for me. Think they make my Mockingbirds life unpleasant. Wow! The photos of the sports-mode jays are amazing. And love the Native American rendition. 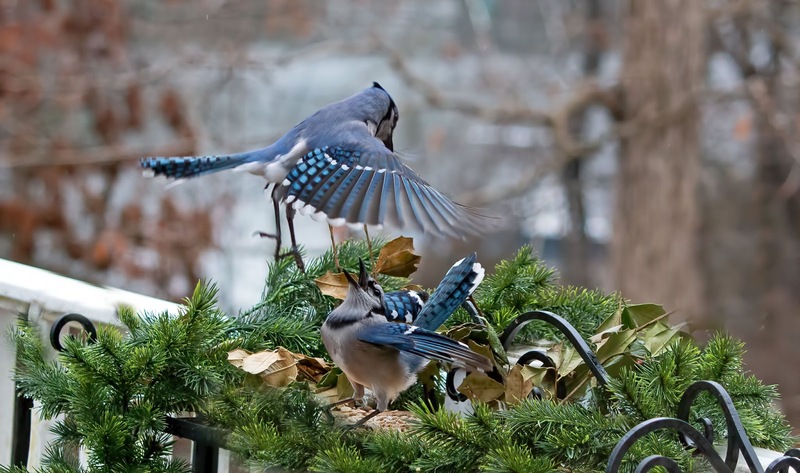 The jays here scatter the circle of smaller birds feasting on fallen seed beneath the feeders. They shout coming in and shout going out just to be sure everyone takes note of the event. Not sure what a sports-mode camera is but you certainly capture the jays beautifully.